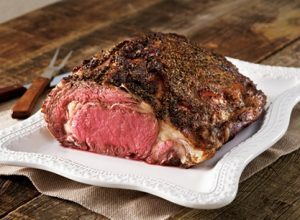 Remove foil; bake 30–45 more minutes or until roast is 145°F (medium rare) up to 170°F (well done). Transfer roast to cutting board; let stand 10-15 minutes. Remove string and bones before slicing.